Original 7” one-sided metal acetate with UK Apple (London) labels. A version of this song by Bill Elliot And The Elastic Oz Band was recorded and released on Apple in 1971 but this is the original June 1st recording with John Lennon’s vocal. 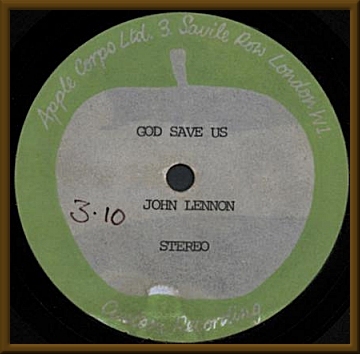 This version remained unreleased until Lennon’s 1998 “Anthology” box set. Disc VG.